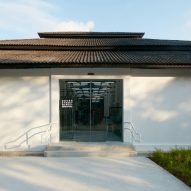 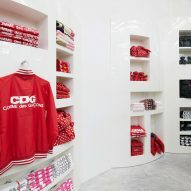 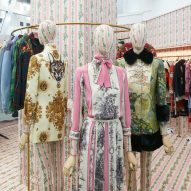 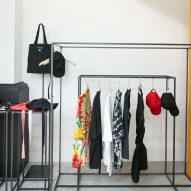 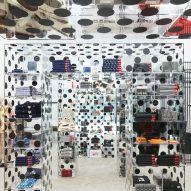 Japanese fashion brand Comme des Garçons is opening the fourth branch of its Dover Street Market store in an old Singaporean army barrack. 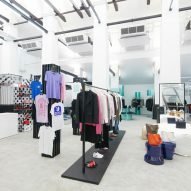 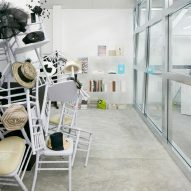 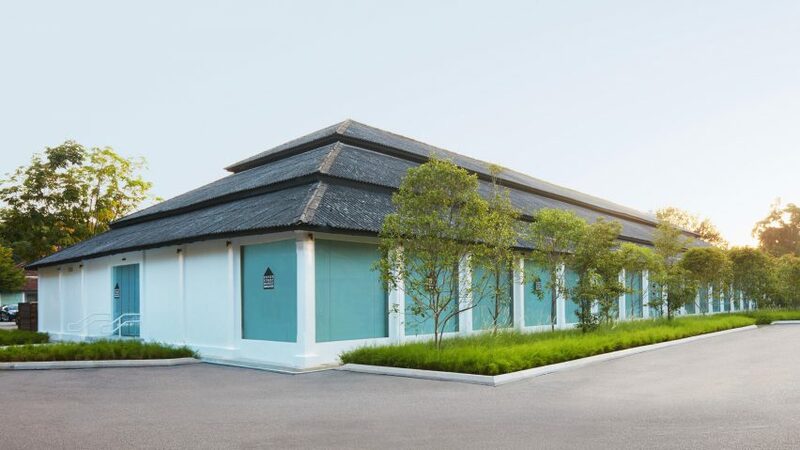 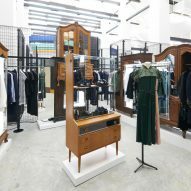 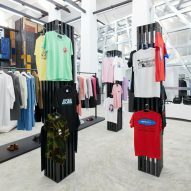 Dover Street Market Singapore is located in a building that forms part of the COMO Dempsey complex – a "lifestyle destination" filled with design-focussed shops and restaurants. 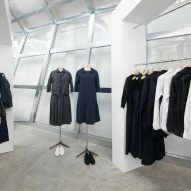 The new store officially opens tomorrow, and will be the fourth outpost of the multi-brand store conceived by fashion designer Rei Kawakubo, who founded Comme des Garçons in 1973. 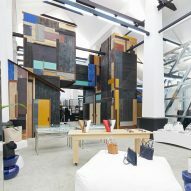 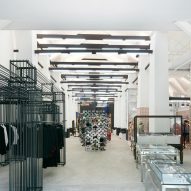 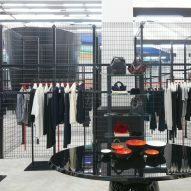 As with the New York, London and Tokyo stores, the overall interior is designed by Kawakubo. 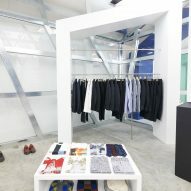 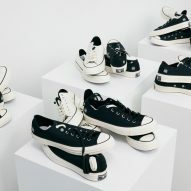 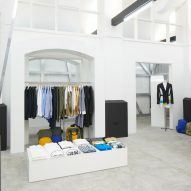 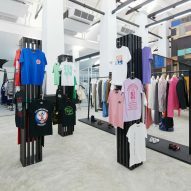 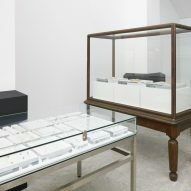 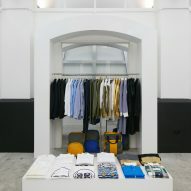 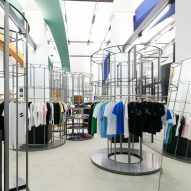 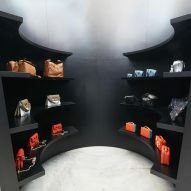 Inside, brands such as Balenciaga, The Row and Thom Browne are contained in their own self-designed individual sections. 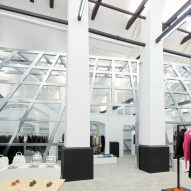 Comme des Garçons' own collections are housed within two large glass and steel structures. 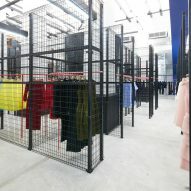 An area named the Wire Fence Labyrinth is flanked by steel mesh walls, and displays womenswear pieces from the likes of Jacquemus, JW Anderson, Molly Goddard and Vetements. 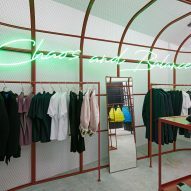 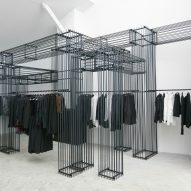 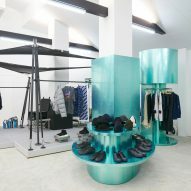 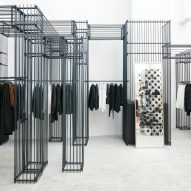 Menswear is located inside a series of freestanding metallic towers, while a cavernous wall surrounds the brand's Good Design Shop. 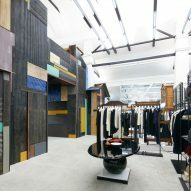 In the middle of the space is a colourful hut-like structure, which is a feature common to each Dover Street Market store worldwide. 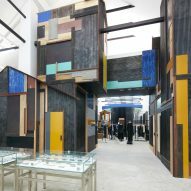 A series of colourful arches reach across the 10-metre-high ceiling – contrasting with rows of black beams that were part of the original architecture. 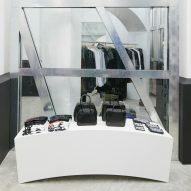 Dover Street Market was first set up by Kawakubo in 2004 on its eponymous street in London. 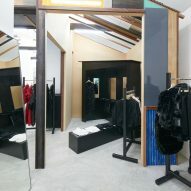 The second branch opened in Ginza, Tokyo, in 2006, then the outpost New York opened in 2013. 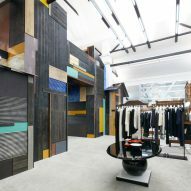 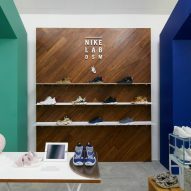 Last year, the London store moved from its original location in Mayfair to a Grade II-listed building on nearby Haymarket. 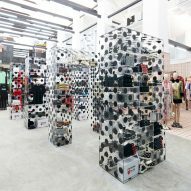 Kawakubo, described by Dezeen columnist Aaron Betsky as an "architect of clothes", is the subject of this year's spring exhibition organised by the Costume Institute at New York's Metropolitan Museum of Art.